Walking School — Dankmeyer, Inc. The first Amputee Walking School of 2019 was yesterday, 4/10/2019. Paralympians and self-styled “professional amputees” Todd Schaffhauser and Dennis Oehler were there to lead the evening session, as Dankmeyer co-hosted with the University of Maryland Rehabilitation and Orthopaedic Institute (UMROI). Just to add a new twist to the event, Todd and Dennis were featured in a Facebook Live video where they explain the program and demonstrate some exercises. 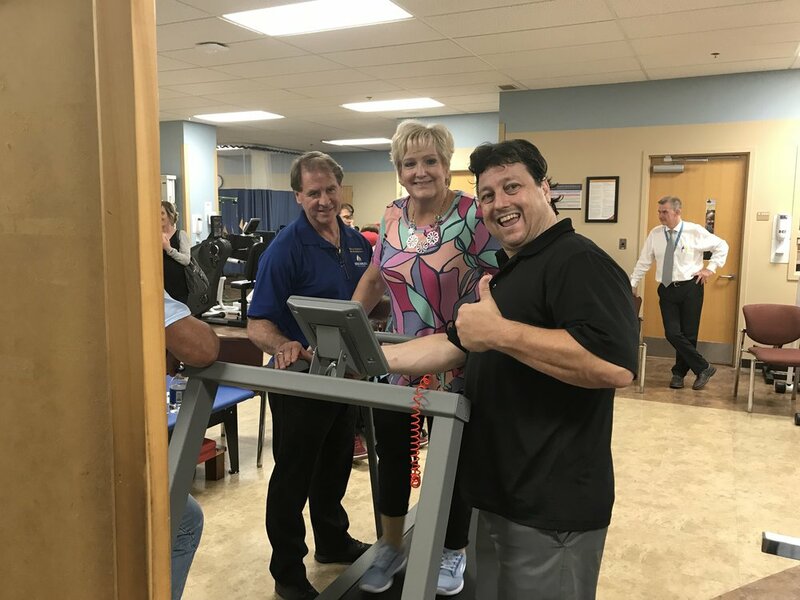 They discuss the importance of physical therapy for amputees, and encourage amputees to track their steps, setting daily goals for themselves. If you would like to watch this great, really informative video, click here. Todd and Dennis know how to engage and encourage amputees to get moving! If you haven’t been before and you are interested in the next session, it is scheduled for June 19, 2019. Put the date on your calendar and we will let you know as soon as registration is available! NEWS FLASH! The professional session of this April 10th Amputee Walking School is cancelled. The evening session is still scheduled and registration is open for the first event of the 2019 series of Amputee Walking School dates! Todd and Dennis will be there as Dankmeyer co-hosts with the University of Maryland Rehabilitation and Orthopaedic Institute (UM Rehab). The evening session is for those with lower limb loss and their families to work with the pros on various kinds of exercises. The evening session is FREE, but be sure and register so that we can be ready for you. Click here for registration for the free evening session for those with limb loss. You can read all about prior sessions and see a LOT of pictures by scrolling through our AWS news below. We look froward to seeing you at this first 2019 session! Registration is now open for the first session of 2019 Amputee Walking School! This event will be April 10, 2019 - hopefully this later spring date will mean no weather issues! Todd and Dennis will be there as Dankmeyer co-hosts with the University of Maryland Rehabilitation and Orthopaedic Institute (UM Rehab). 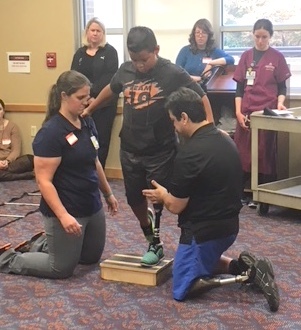 More formally known as Advanced Gait Training for Individuals with Lower Extremity Amputations, Amputee Walking School features two segments. The afternoon segment is a learning session for professionals, followed by an evening session where those with lower limb loss and their families come to work with the pros on various kinds of exercises. The evening session is FREE, but be sure and register so that we can be ready for you. Click here for registration for the professionals session. 2019 Dates for Amputee Walking School! We have the dates for 2019 Amputee Walking School, so pull out that brand new 2019 calendar, or your mobile device or notepad and get these down right away! The usual team will be there, ready to school you - whether it is in the professional sessions for CEU’s or the evening sessions for those with lower limb loss. As soon as location, time and registration information is available, we will post that information. Dankmeyer, Inc. co-hosted the Amputee Walking School on Wednesday, November 14, 2018 at the Dankmeyer Linthicum office. Professionals took advantage of a day long teaching program “Lower Limb Prosthesis Prescription and Training Considerations: An Update”. For those with lower limb loss and their families, the evening event attracted quite a few new participants. Here are a few pictures of the event with more to come. We are working on the schedule for 2019 for another great round of Amputee Walking School.